Ouriken has a cloud-based call management system that provides solutions such as IVR, virtual number, toll-free number, cloud EPABX, automatic call distribution, call tracking & recording, reports etc. for business. Distribute calls among your team members with Automatic Call Distribution ensuring business scalability involving no set-up or hardware cost. Get your business a brand number. Give your customers a reason to connect with you for superior customer service for free. Get the forwarding number’s advantage for all your marketing channels. Track the performance and RoI. 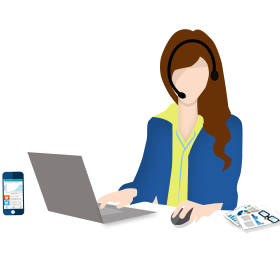 Get an IVR for your business that addresses your callers with a personalized voice. Greet your callers with a professional voice, everytime they make a call. Analyse the reports to check how effective is your communication. Subscribe for email and SMS reports of your business calls. Record all the business calls received or answered. Use the recordings to improve the quality of your service. Make your business phone system a new breed by taking it on cloud. Attend all the business calls without missing them and installation of hardware. 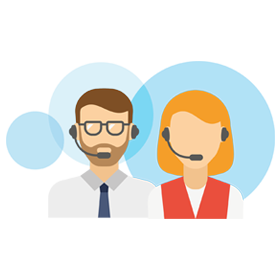 Empower agents to create a better customer experience. Manage all your business calls round the clock. Track and record these calls to maintain a superior customer experience and service. Connect with callers anytime and everytime they make a call.